EDT Driving Lessons in Dublin : What's it all about? EDT… you’ve heard of it, but you might not know exactly what it is. That’s OK! We’ll let you in on a little secret - not many people DO know what it is! There are two problems with EDT, or ‘Essential Driver Training’: firstly, it’s still pretty new. EDT was only introduced back in 2011, so if you talk with your parents or grandparents, they probably think EDT is some sort of disease! Secondly, EDT is unique to Ireland, so if you’ve recently moved to Ireland for uni, it can be hard to get your head around what it is. The good news is that, unlike your course materials, it’s actually pretty simple! So this is how simple Essential Driver Training in Ireland really is - it’s just a series of 12 lessons that help you to become a safe and competent driver. That’s all! 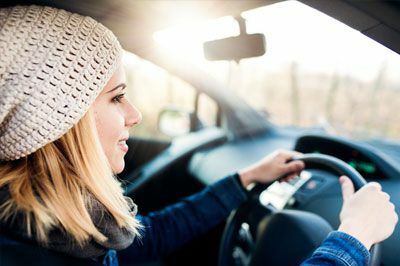 You’ll need to complete all 12 driving lessons before you’re able to take your driving test, but fortunately you can take these lessons over a period of time to suit you - there’s no need to take them all at once. In fact, the Road Safety Authority recommends you take one 1 hour lesson every 2 weeks. We know being a student is busy work, but surely even the busiest student can spare one hour every fortnight to get their driving licence? Now admit it - that sounds a lot simpler than 13th Century German Kings & Emperors, right? When you begin your EDT lessons, you’ll be given a logbook. It may look a bit plain and simple, but this is like the passport of the driving world! It’s your key to freedom, so try not to lose it among the pile of dirty laundry you’ve never got around to washing (yes, we know what student bedrooms are like!). The logbook confirms which of the 12 EDT lessons you’ve completed, and basically it acts as an official way of letting the RSA know that you’re prepared and ready to take your practical driving test. Your logbook is not only a way of tracking your progress, but it’s a way of reflecting on each lesson, and working out what you need to improve on. There’s space for your instructor to write down his or her notes on your performance, and also space for your to self-analyse. Now don’t get too critical here! This isn’t about poking holes in everything you do, it’s more about reviewing your lesson and figuring out how you can make changes to become a safer and more confident driver. ‘Getting stamped’.... You may know of a few friends at uni that ‘got stamped’ by visiting a tattoo parlour after one too many drinks. The good news is that ‘getting stamped’ in the driving sense is very different, and you won’t wake up with a sore back and a bucket full of regret! What ‘getting stamped’ means is that your driving instructor stamps the relevant page in your logbook to confirm progress. There’s a separate page for each lesson, and you can easily track your progress through the stamps. Why does your progress need to be tracked? Well, there’s a few reasons, really. Firstly, if you need to switch instructor - like if you graduate and move away for work - your new instructor can instantly see where you are in the training process. Secondly, if you’re working with a sponsor for additional pretest training, they can keep up with your process so they can continue to challenge you and help to improve your skill. Finally, who doesn’t like stamps? It’s like kids and stickers - they’re just fun! When you ‘get stamped’, your driving instructor will make it official. They’ll log in to their online portal on the RSA website to update the RSA with your progress. The good news? This will ensure there’s no problems when you come to take your driving test. The bad news? Well, it means you can’t get your mate to sneakily stamp your logbook for you. Only an approved driving instructor can log your progress with the RSA, so there’s no cheating. Sorry - you’ll just have to work for it! ‘The EDT programme is designed to protect inexperienced learner drivers while they are learning to drive and to support them as they develop the skills, confidence and appropriate behaviour to share the road safely with others’. That sums it up nicely. Those are the words of Leo Varadkar, who was Minister for Transport back in 2011 when Essential Driver Training was first introduced. EDT was launched in response to local stats which showed younger drivers were more at risk on the roads. Now, there are many reasons why younger drivers are more likely to be involved in accidents - overconfidence, showing off, and so on. But what really seemed to ‘hit a nerve’, so to speak, was that driving instructors would often only teach students what they needed for the test - no more. It was more about publishing incredible pass rates than it was about creating a new generation of safe drivers. That’s the equivalent of your Maths professor giving you all the answers to your end-of-term exam, but not explaining how to arrive at those figures! It was a pretty bad system, to be honest. So EDT was born. EDT is designed to teach lifelong skills, even if they’re not necessarily needed for the test. Take night driving, for example. It’s very unlikely the RSA will book you in for your test at 3am (you hope! ), but you might need to run your mates to the airport the morning after your test. You’ll need this skill to be a safe driver, even if you don’t need it to pass the test. Pretest training, on the other hand, is designed to fill in the gaps and give your specific and detailed knowledge that you’ll need to satisfy the examiners. Choose StudentEDT, and you get the best of both worlds! Essential Driver Training is actually much simpler than it first appears. If you’re interested in completing your 12 EDT lessons, supplementing your knowledge with pretest training, or just finding out more about learning to drive in Ireland, we’ve love to chat. Take a few moments to browse our website for more information, or give us a call for more information.